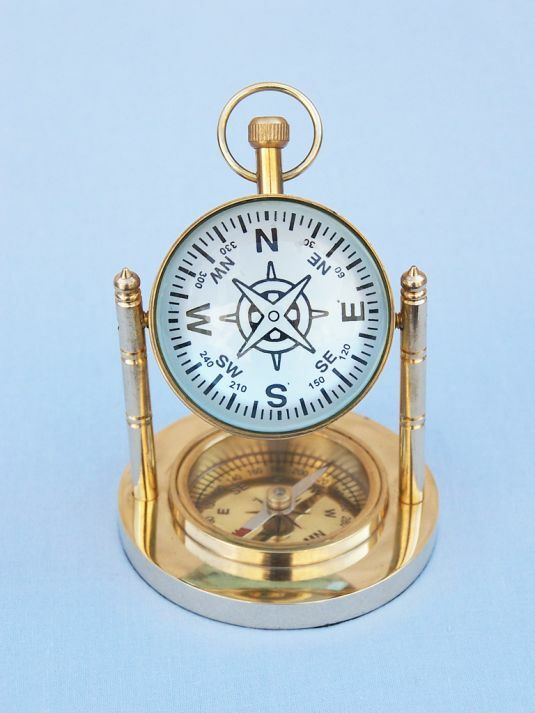 Solid Brass Clock with Compass 5"
The Solid Brass Clock with Compass 5" is a perfect gift for the nautical enthusiast or navigator. 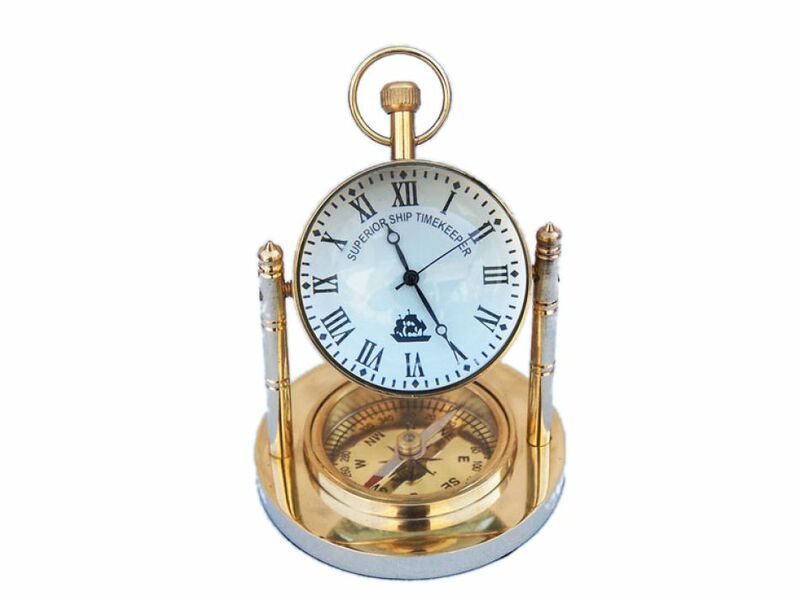 Finely crafted from solid brass, this nautical clock features a solid brass compass on the bottom. 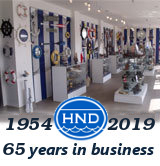 Twin uprights hold the pivoting clock above a navigators compass that can be rotated in position. 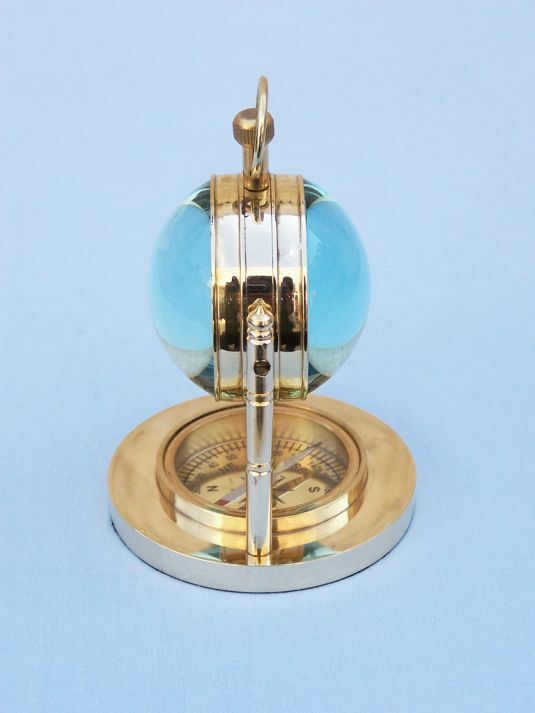 This gem is a perfect desk accessory and features a working compass and clock.